Gisela is an activist and lawyer from Brazil. Whilst studying law, she undertook a thesis entitled “The incompatibility of the criminalisation of abortion in relation to the human rights treaties ratified by Brazil” – which involved studies of the 1994 International Conference on Population and Development (ICPD) held in Cairo. As a practicing lawyer, she now offers pro Bono services to a feminist organisation located in Sao Paulo. She is also a winner of the Future Against Corruption Award, promoted by Transparency International, in partnership with the German Federal Ministry for Economic Cooperation and Development. 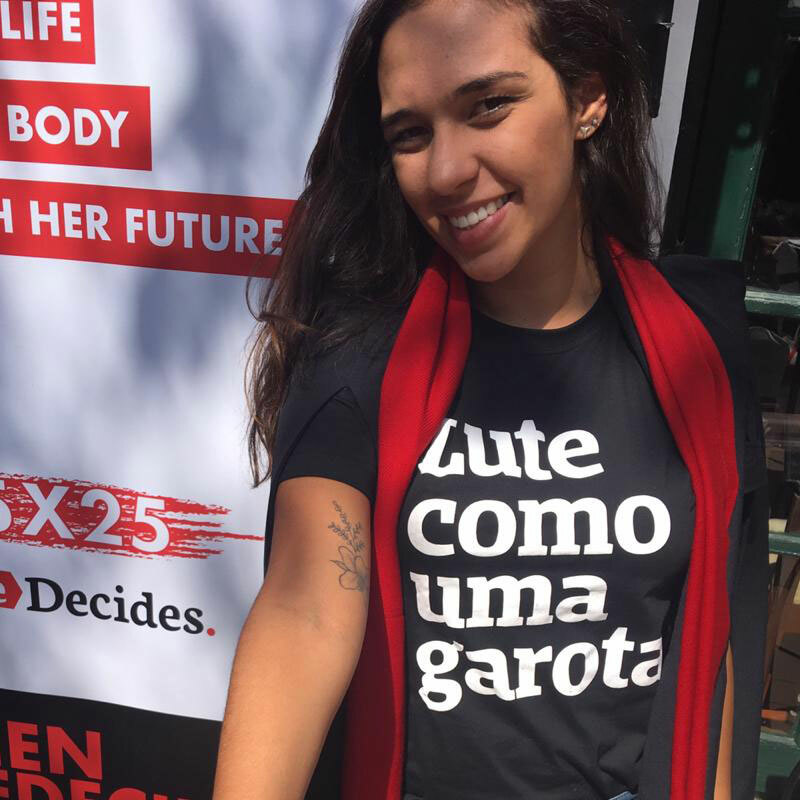 Gisela is interested in the decriminalisation of abortion and wants to fight for freedom in reproductive health and for gender equality in Brazil. "In a country where our rights, and our lives, are constantly threatened, it is very important to create movements and spaces of support for Brazilian women. I want to be part of a Brazil, and a world, that is better, stronger and safer."